Magic can do a lot—give you flight, show you mermaids, help you taste the stars, and… solve the budget crisis? That's what the grown-ups will do with it if they ever make it to Neverland to steal its magic and bring their children home. However, Gwen doesn't know this. She's just a sixteen-year-old girl with a place on the debate team and a powerful crush on Jay, the soon-to-be homecoming king. She doesn't know her little sister could actually run away with Peter Pan, or that she might have to chase after her to bring her home safe. 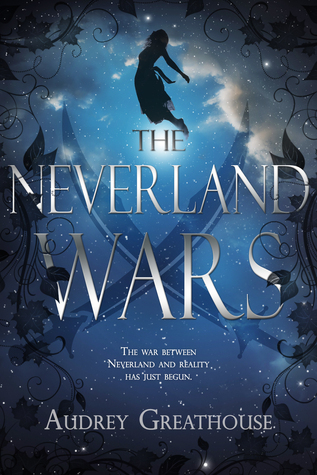 Gwen will find out though—and when she does, she'll discover she's in the middle of a looming war between Neverland and reality. This book was the first Peter Pan retelling I've read. I wasn't sure what to expect. I felt a sort of kindred spirit with Gwen. I would have liked to have held on to my childhood a bit longer. I always seemed a little immature compared to my friends. I think it's what some refer to as a "young" sole. I loved the imagery the author gave to Neverland & its inhabitants. What I was surprised to discover was that Peter, the boy how never grows up, carries a lot of responsibility on his shoulders. The protection of Neverland seems to fall all on him. This book is a beautiful illustration of the loss of innocence & the realities of growing up. There was some parts of the book where the pace lulled and I found myself uninterested. However, once I passed that part, I got back into it and enjoyed the rest of the story. 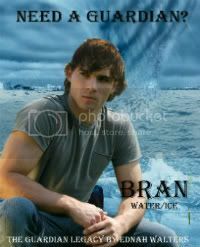 I can only assume this is the first book in a series since much was left unanswered. I look forward to finding out what will happen to Gwen, Peter, Neverland & the war with reality. Recommended for 13 & up. 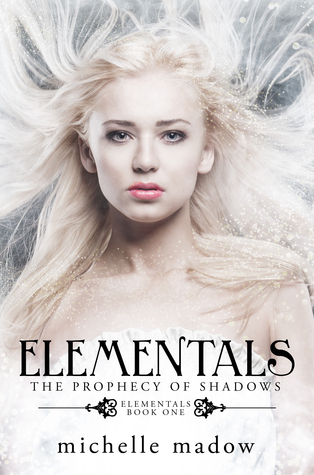 Nicole Cassidy is the new girl in town with a new problem -- she's a witch descended from gods. Despite doubts about her new found abilities, she's welcomed into this ancient circle of witches and is bedazzled by their powers -- and by Blake, the town's notorious bad-boy. When the Olympian Comet shoots through the sky for the first time in three thousand years, Nicole, Blake, and three of their classmates are gifted with mysterious powers. But the comet has another effect -- it opens the portal to another dimension that has imprisoned the Titans for centuries. After an ancient monster escapes, they're forced to follow a cryptic prophecy, while learning to work together to stop the spread of evil. If only they can succeed in time to save their town... and possibly the world. I wanted to love this book. I love stories with Greek mythology. Unfortunately this one fell far short of my expectations. To start, Nicole (the MC) wasn't a character I could connect with. Her reactions to things were unrealistic and at times I didn't really like her. Then there's the whole "insta-love/connection" thing and it's no excuse to go after someone's boyfriend. Characters need to build relationships just like real people. I didn't really like Nicole's mom or sister either. Both seemed to be self absorbed. Her "dad" never makes an appearance. Some things in the story didn't really sit well with me. Starting with why did Nicole get put into "homeroom" when she had no knowledge of being a witch? Who made the decision and how did they know what she was? Combine that with how easy everything came to the characters and you can see why I had trouble with the plot and the way it was pushed along. The story felt almost forced along without the characters having to struggle and over come their situations. None of the characters experienced any growth or development. They just accepted what was happening and went along with it. The idea of the story is a good one and could have made a great book if things had been allowed to develop naturally. I haven't decided if I'm going to read the next book in the series yet. Recommended for 13 & up. Mild violence. I purchased this book on Amazon and received no compensation for my honest review.